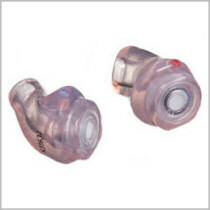 The ELACIN ER FlexComfort (often called musician earplugs) is a hearing protector with a revolutionary filter that provides a flat attenuation over the frequency range between 125 and 8000Hz. Because of the flat attenuation the 'noise' keeps its natural sound, without any distortion. It is similar to turning down the volume of a radio. For that reason the ER FlexComfort is extremely useful for musicians and people who are working in an area were natural sounds are very important. 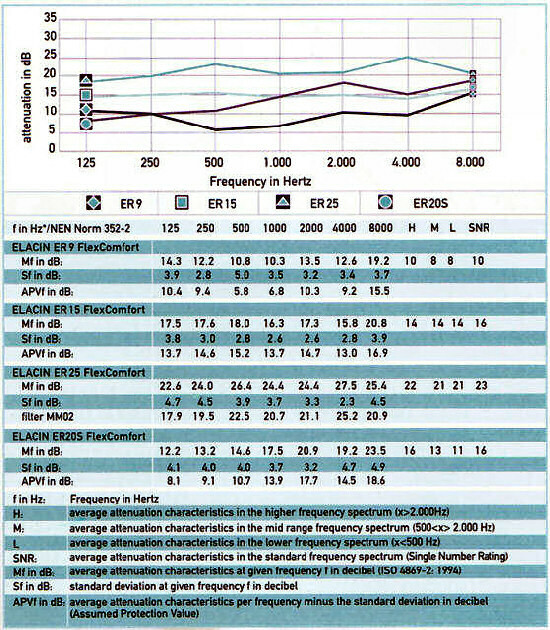 Standard hearing protectors are not suitable because most of the hearing protectors are attenuating more than is required and too much attenuation in the higher frequencies distorts the sound of speech and music. All ELACIN ER FlexComfort hearing protectors are manufactured from the soft FlexFit material (hardness 60 Shore). The filters are of the same size and can be interchanged very easily. The ER FlexComfort will be delivered in the standard clear transparent colour, but another colour is also possible. - What are Muscians Earplugs?